Panhandle-Plains will host a tour of Dreamland Cemetery on Saturday. The history of Canyon will be told through a tour of the final resting place of many of its most notable residents. 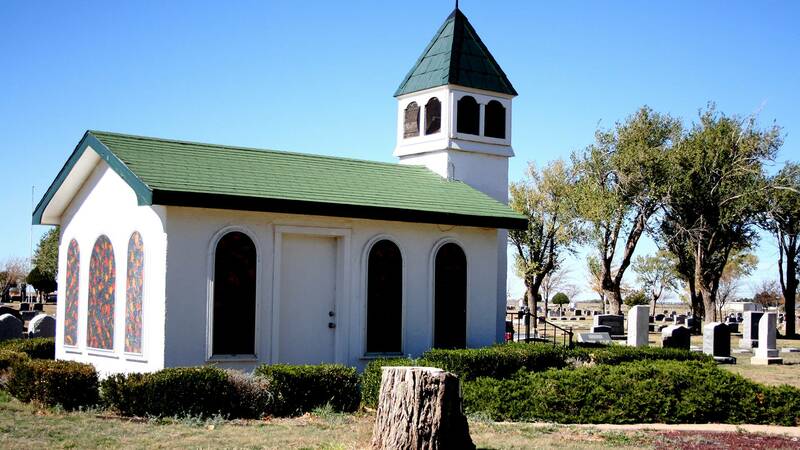 Panhandle-Plains Historical Museum and the Dreamland Cemetery Association will team up for a walking tour of the cemetery, located south of Canyon at 26500 U.S. Highway 87, from 3 to 6 p.m. Saturday. Admission is free. "It's a small cemetery, but it has a dozen or more people that we're going to feature on our tour that were important people in the founding of Canyon," said Elaina Cunningham, PPHM's associate director for community engagement. Though the development of Amarillo and Canyon often are paired, "Canyon has its own dynamic history outside of the history of Amarillo," Cunningham said. The tour will feature one of the cemetery's first graves, dug in 1891, more than a decade before the town was incorporated in 1906. Also featured will be graves of World War I veterans Ray C. Campbell and Thomas Knighton, PPHM founder Hattie Anderson, and Texas musical drama founder Margaret Harper, as well as professional wrestling icon Dory Funk Sr. His son, retired wrestling great Terry Funk, will be one of several speakers stationed throughout the cemetery providing brief history lessons. Visitors should enter through the gates on Cemetery Road and wear comfortable shoes for the come-and-go event.